You are currently browsing the tag archive for the ‘colossians 1’ tag. i feel really small when a 6.6 earthquake hits the town where my parents live. i feel really small when my daughter has a potentially life threatening allergy reaction. i feel small sending my kids to school each day. this world is broken, groaning, crying out for restoration and renewal and for the return of The King. 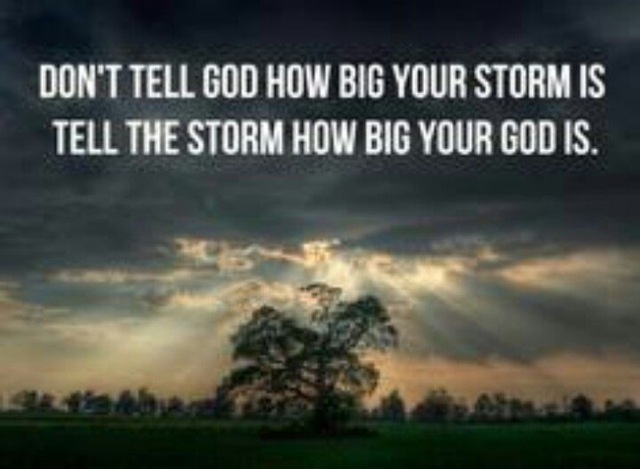 but my God is big. bigger than i can even comprehend or define. He is the one who breathed out the stars, spoke and there was light, who created the universe and holds all things in His hands. He is the healer, the storm calmer, the life giver. He knows my days, my hours, my minutes, my thoughts. i am secure in His might and love. i am safe in His grace and power. i AM small. but He is amazing. i put my trust in Him. #FiveMinuteFriday free write time! <—click to tweet this! Five Minute Friday is a feature over at Lisa-Jo Bakers TALES FROM A GYPSY MAMA blog. i first read about it on my friend Fee’s blog and thought it sounded fun! Are we willing to lay down our reputation, our comfort, ourselves, to encounter God? Revival comes through the revived. It goes on to record how Jesus firstly heals the man inside out – getting him right with God and then heals his physical body – healing him on the outside. I want to break this passage down to see what we can learn about it in sustaining our own personal revival – revival starts in me. Revival in our own lives is sustained when we have a daily awareness that Jesus is real and that Jesus is amazing and that Jesus is Lord – that Jesus is good and great – of who He is and what His purpose is – and that Jesus lives on the inside of me. How do we get Jesus in the house? Firstly, you’re accepted now… Jesus died for you and now if you’re born again, He lives in you. He is IN the house. Ephesians 2:8 For by grace you have been saved through faith, and that not of yourselves; it is the gift of God, not of works, lest anyone should boast. But there is a different between Jesus being in the house and Jesus being IN the house! When Jesus was in the house – when it was a tabernacle tent in the wilderness – the glory of God shone like a pillar of fire and a cloud of smoke and Moses would go and speak face to face with God and come out shinning like he was a giant spotlight. When Jesus was in the house – in the temple Solomon built – the presence of God came so tangibly that the priests were laid out and could not stand or work. When Jesus was in the house – there was sound of rushing wind, and people that had being holed up in fear took the gospel out into the streets and 3000 people got saved at the first altar call, Peter’s shadow healed people as he walked by, people got healed, set free, saved. Jesus is the same today, in you, as He was yesterday in David, in Isaiah, in Daniel, in Peter, in John, in Paul, in Smith Wigglesworth, in Charles Finney, in Billy Graham. How do you get Jesus in the house – you invite Him in and you make room, you make time. You know, when there is stuff going in your life, people will see it and want to know more. V3 says immediately people gathered together – they heard Jesus was in the house and they wanted to see for themselves if He was who He said He was and what He would do. Seth Godin, a marketing guru says that people like that are sneezers – they catch onto a new thing really fast but more importantly they let everyone in their world know – they’re like an infectious bug that is then sneezed into everyone in the room so before you know it, you’re all sick. The aim of marketing is to get the sneezers excited about a product/service so that they’ll ah ah ah achooo it out into the world. When there is a great sale on at the mall, or a new burger joint opening down the road, or a new movie opening or you’ve just had your hair cut by the most amazing hairdresser ever – don’t you tell everyone? We naturally sneeze what we’re into to the people in our lives. How many of your friends on fb shared the clip of dustin hoffman talking about acting in tootsie? You’re called to be a sneezer for Jesus. 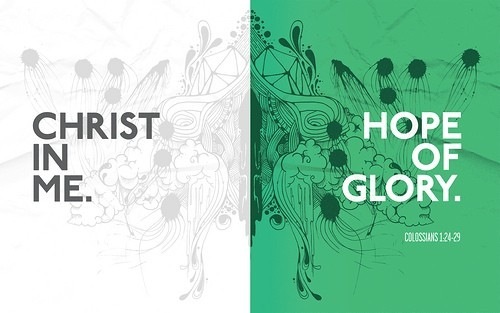 When Jesus is in the house, you should want the world to know. Mission is not an add-on. It is not an optional extra. It is at the core of who we are. Revival ignites when you have Jesus in the house – your house – when Jesus is doing amazing things in your life – and you then let other people in on the secret. I love how Caleb said this morning that our mind is conditioned by the world to respond and react in certain ways. In a way our mind is conditioned to look else where for the answer to every question we have in any other place than God. Tonight, we’re going to make space again for Jesus to come. This is an invitation to be filled more and more, to get fresh vision and enthusiasm for knowing Him and making Him known. Its also a good opportunity to let Jesus, the master carpenter, renovate our lives, to heal us, to pour His grace upon us again. we are saved by grace. pure simple wonderful amazing grace. and we respond to that grace and salvation by how we live our lives. i can never earn my salvation. i can never pay it back. anything i do for Jesus, do to know Jesus, do to live for Jesus, is a response to His love for me first. In communion we remember the sacrifice of Jesus and all it has won for us. to live fully in his Son. would be brought back to God. Before we were separated from God because of sin. Now we are able to stand in His presence, holy, clean, new, innocent. Not because of anything we have done or could do. But all because of what Jesus did. At communion we remember that Jesus stretched His arms out upon the cross – after being beaten, whipped, mocked, spat on, unjustly convicted – He stretched His arms out as a declaration of Love. I Love you this much! His death makes the way – makes us found, holy, acceptable, family. At communion we remember that Jesus died and won. That He died and won a great victory over satan and sin and death! He won the victory that sets us free to be holy and righteous! He sets us free to know our Heavenly Father and to belong with Him forever beginning right now! Let us remember what He died for and lets LIVE in the reality of the victory! Knowing God. Being loved by Him. Usually communion is quite solemn as we come and Jesus’ sacrifice, but yesterday as I was praying about what to share and say a particular song was playing – and my heart was just again overwhelmed with awe and love and rejoicing at what Jesus won for us – so I invite you to come and and CELEBRATE communion with thankful hearts – with thankful lives – rejoicing in all that Jesus died for – our redemption – our restoration – our reconciliation! E100: 2 – DID GOD REALLY SAY? "Did God really say ….?" ooooh what a question! this one seemingly simple question plants the seed of rebellion, it plants doubt. did God REALLY say? It is the same question that is whispered every time there is a choice to follow God’s purposes or follow your own. did God really say? talk about sneaky and crafty… the weapon the enemy often uses – still uses – is getting us to doubt the Word of God – doubt His promises – doubt His revelation – doubt His will – doubt His goodness. our relationship with God is founded on faith and doubt corrodes that faith. don’t listen to the did God really say? fight back with THE WORD OF GOD SAYS… have a but God says in your heart that is ready to fight back and counter the lie. this is why knowing the truth and the Word is really important… because it plants the Word in our heart ready to defend and strike! Psalm 119:11 I have hidden your word in my heart that I might not sin against you. Jesus when He was in the wilderness and was tempted by the devil used the Word of God to rebut his schemes and devices. each time Jesus was presented with a “did God really say?” He rebuked the devil with a THE WORD OF GOD SAYS. as a housegroup leader i know this feeling. i thank God often for our housegroupies and for the work that God is doing in and through their lives. its such a privilege to be a part of their lives and an honour to be their housegroup leader. the greatest thing, apart from that they’re awesome spunky fun cool people, is seeing them grow closer to God and step out into the plans and purposes that He has for them. reading this it encourages me and challenges me to pray more for those i lead, expectant that God will do incredible things in their life, that they will be fruitful and mature, and know Him and make Him known. i’m so grateful for the people that came alongside me and helped me to grow and bear fruit, and bore with me in my seasons of rebellion and ignorance. what a fantastic commendation Paul gives the Colossian Christians – that they are known by their love and faith. the hallmark of their lives is their tangible practical real love and tangible real practical faith. its not about us. but its about HIM. He saves us, He rescues us, He restores us, He transforms us. and i put my hand up and say YES PLEASE. and even in that my response is usually because He has opened my eyes to His wonderfulness and stirred my spirit towards Him. i so like the last part of verse 6 – the day you truly understood God’s grace. there is a difference b/w understanding and, how do i put it, thinking we understand. 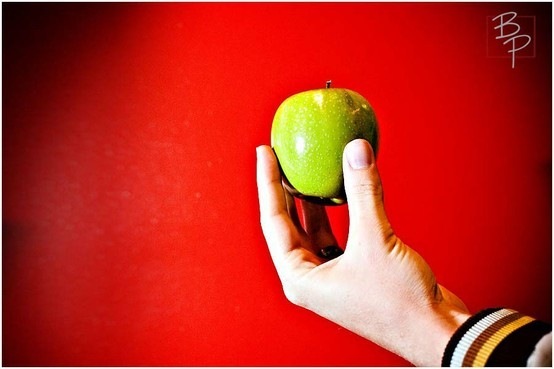 true understanding results in change and response and love and transformation and fruit. it permeates who we are and what we do. 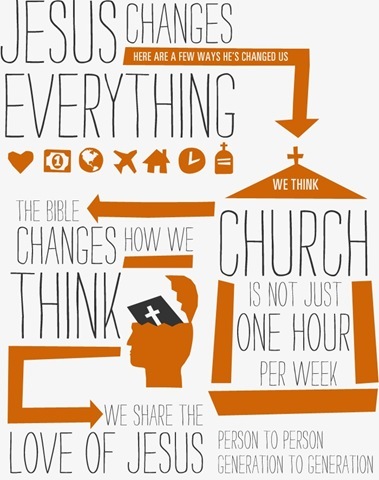 so often we have a checklist in our head of what things good Christians do and what things good Christians don’t. but underlying that all, the reality is that God loves us with an everlasting love and He sees not our own righteousness but Christ’s righteousness. awesome eh. that’s what grace is. that’s what living by grace is. when we understand it we’re free. we can fly (okay i’m watching how to tame your dragon at the same time as doing this and totally inspired by the flying dragon!) and really live. we live in response to God’s great love and abundant grace, lavished upon us. that’s what inspires us to change, motivates us, from the inside out. because God is awesome and worth it. Now Job actually tries to talk David out of this – there is actually a God rule that the leader of Israel was not allowed to take a census except at the order of God. But David refuses to change his mind and sends Joab and his soliders out to number the people. Sin is stupid and terribly wrong. It is rebellion against God. Louie Giglio says that sin puffs us up and makes God smaller in our eyes. Sin says my way, not his ways. It separates us from God. It hurts us and it hurts others. Sin makes us dirty and unclean and unacceptable to God. Sin makes us guilty. So…. You might be saying… this is all a bit doom and gloom sin stuff….Have you read what the bible says about sin and how God feels about it???? ·	Job 18:5-21 The lamps of sinful people soon are snuffed out, leaving their tents dark. Their powerful legs become weak, and they stumble on schemes of their own doing. Before they know it, they are trapped in a net, hiddden along the path. Terror strikes and pursues from every side. Starving, they run, only to meet disaster, then afterwards to be eaten alive by death itself. Those sinners are dragged from the safety of their tents to die a gruesome death. Then their tents and possessions are burned to ashes, and they are left like trees, dried up from the roots. They are gone and forgotten, thrown far from the light into a world of darkness, without any children to carry on their name. Everyone, from east to west, is overwhelmed with horror. Such is the fate of sinners and their families who don’t know God. I think sometimes we think that God’s response to sin is a slap on the hand and a “don’t a naughty girl or I’ll have to put you on the naughty step…” But sin is sin is abhorrent to God. Sin is the greatest disease we face – but there is a cure! There is good news! Back to the David…. ·	2Sa 24:11 Before David even got up the next morning, the LORD had told David’s prophet Gad to take a message to David. The prophet went to David with the choice he had to make… the consequences of his pride and sin…. ·	2 Samuel 24:15-17 So that morning, the LORD sent an angel to spread a horrible disease everywhere in Israel, from Dan to Beersheba. And before it was over, seventy thousand people had died. The right there and then consequences of David’s sin was the death of 70,000 of his people. The end result consequences of our own sin is eternal separation from God. I always say that eternity is just like real estate – its all about location location location. Now – heres something really cool… did you know that the threshing floor belonging to Araunah is believed to be the where the temple of Solomon – the temple of God was built and also, wait for it, and was in time before that the mountain where Abraham offered his son Isaac, and in the future is the mountain where Jesus Christ was crucified and was the sacrifice that takes our sins away? The place where David met with God and made an altar and where God stopped the punishment for his sin is the place where God intervened into history and eternity and where Jesus sacrificed himself so that we might be made innocent and pure and holy and clean and new and forgiven and righteous! 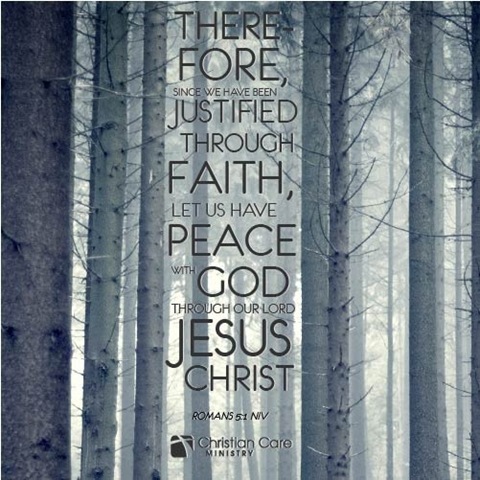 ·	Colossians 1:20-22 And God was pleased for him to make peace by sacrificing his blood on the cross, so that all beings in heaven and on earth would be brought back to God. You used to be far from God. Your thoughts made you his enemies, and you did evil things. But his Son became a human and died. So God made peace with you, and now he lets you stand in his presence as people who are holy and faultless and innocent. The bible says that we all sin. We’ve all fallen short of the standard of righteousness God sets. 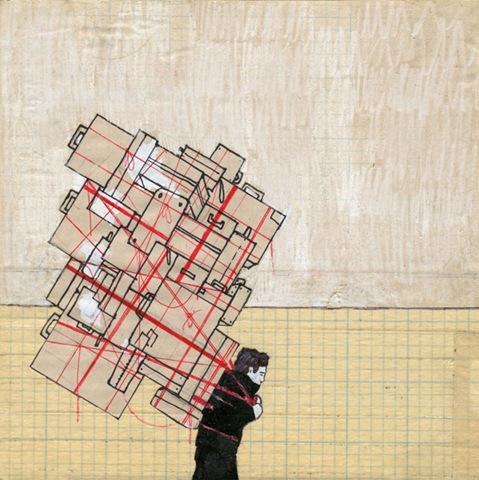 We all make mistakes and act selfishly and do things wrong – by accident and by intention. Sin is the greatest disease we all face. But there is a cure. The cure is Jesus Christ. 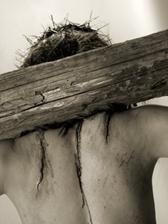 He died on the cross and bore the punishment we deserved. He purchased the cure for us. ·	John 3:16-17 For God so loved the world that He gave His only-begotten Son, that whoever believes in Him should not perish but have everlasting life. For God did not send His Son into the world to condemn the world, but so that the world might be saved through Him. Because of love Jesus paid the punishment for us. 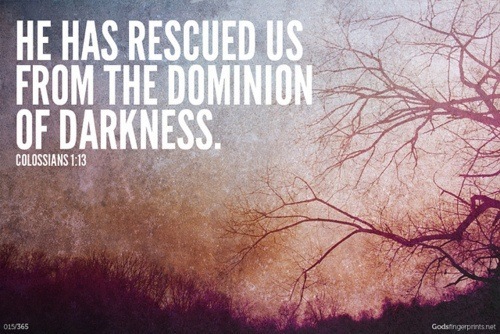 Because of love God rescues us. Because of love he made a way for us to be forgiven and acceptable and innocent. You see, we are created to know God – to be his children. These are not nice words or nice ideas but real tangible reality. We are spiritual beings, not just alive to breathe. But without the mercy of God and without having our sin forgiven we are separated from God eternally, we have a criminal record according to God. Today that can change. Today you can be innocent and forgiven. Just as God stopped punishing David on that hill so 2000 years ago he made a way for us to be forgiven. On that hill outside the walls of Jerusalem the price was paid for each one of us to know God. My challenge to you is this… if you were to drive out of here tonight and be hit by a boy racer speeding around the corner and died – would you open your eyes into eternity and be met by a loving God that welcomes you as his child because you have faith in Jesus and believe that the only way to God is his way, by being forgiven. Today you can be like David who prayed and came before God saying Sorry, I was stupid and terribly wrong, forgive me. There is a cure. Sin does not have to be terminal. Again…. Colossians 1:20-22 And God was pleased for him to make peace by sacrificing his blood on the cross, so that all beings in heaven and on earth would be brought back to God. You used to be far from God. Your thoughts made you his enemies, and you did evil things. But his Son became a human and died. So God made peace with you, and now he lets you stand in his presence as people who are holy and faultless and innocent. To finish up, lets pray, and I’m going to pray the words that David himself penned, which we know as Psalm 51…. ·	Psalm 51:1-12Have mercy on me, O God, according to Your loving-kindness; according to the multitude of Your tender mercies, blot out my transgressions. Wash me completely from my iniquity, and cleanse me from my sin. For I confess my transgressions; and my sin is ever before me. Against You, You only, have I sinned, and done evil in Your sight; that You might be justified when You speak, and be clear when You judge. Behold, I was brought forth in iniquity, and in sin did my mother conceive me. Behold, You desire truth in the inward parts; and in the hidden part You shall make me to know wisdom. Purge me with hyssop, and I shall be clean; wash me, and I shall be whiter than snow. Make me to hear joy and gladness; that the bones which You have broken may rejoice. Hide Your face from my sins, and blot out all my iniquities. Create in me a clean heart, O God, and renew a right spirit within me. Cast me not away from Your presence, and take not Your Holy Spirit from me. Restore to me the joy of Your salvation, and uphold me with a willing spirit.